Original Oil Painting on canvas. 60cm x 60cm. 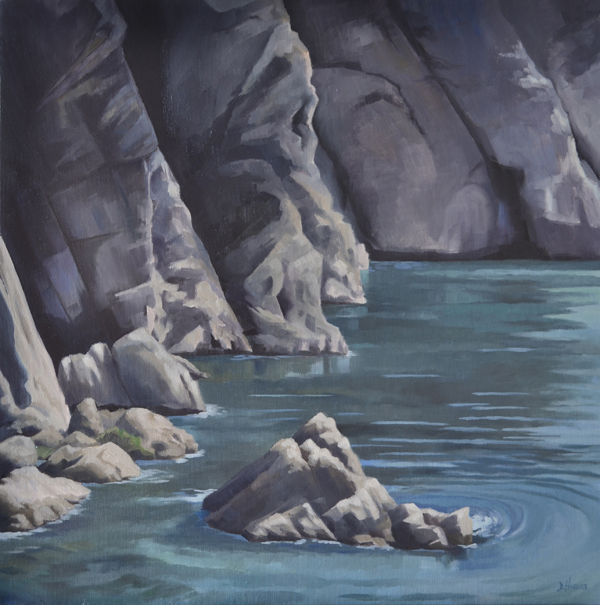 I love the light reflecting off the rocks in this scene and the calmness of the sea. This is a beautiful little bay near Stack Rocks in Pembrokeshire, where the rock formations are really interesting.